Kyoto is famous for its Buddhist temples and Shinto shrines, many of which are UNESCO world heritage sites. There are so many in the city that even though I spent a whole day walking round different sites, I only saw a small percentage of them. 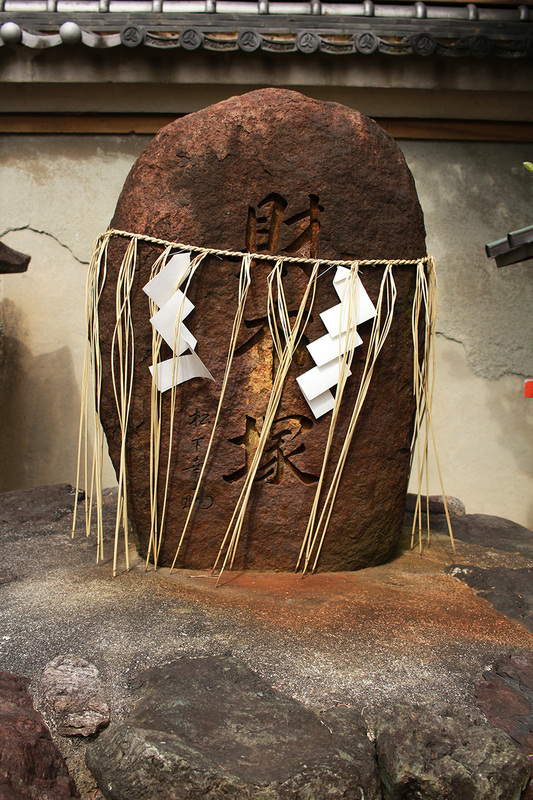 People place stones on these Shinto torii gates for good luck. You can also see my photos of ema good luck plaques here. 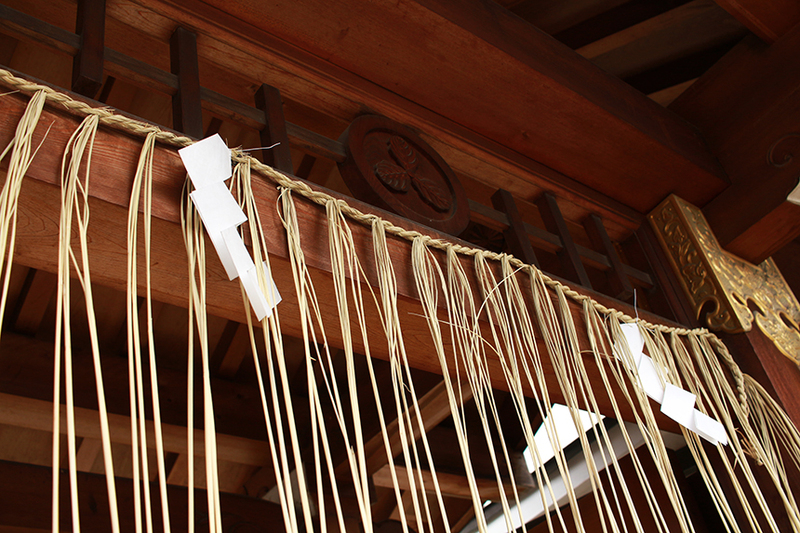 You can recognise Shinto sites by these paper and rope decorations. 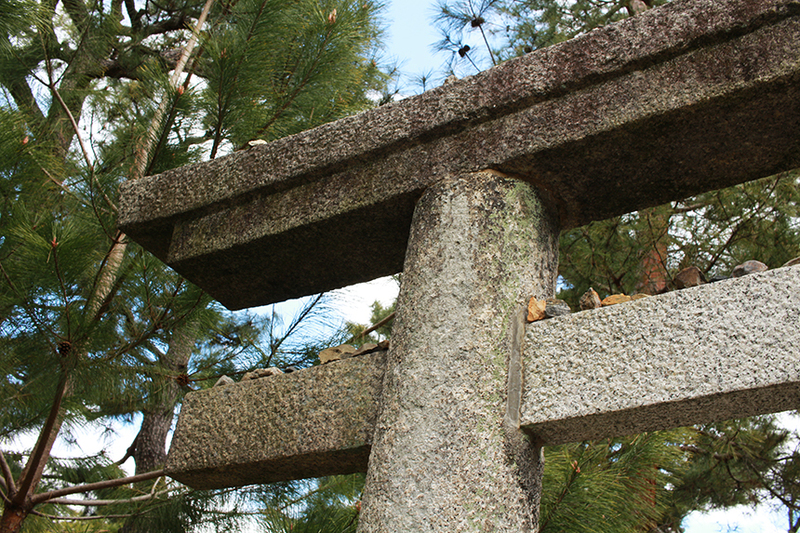 Many Japanese people follow both Shinto and Buddhist traditions. 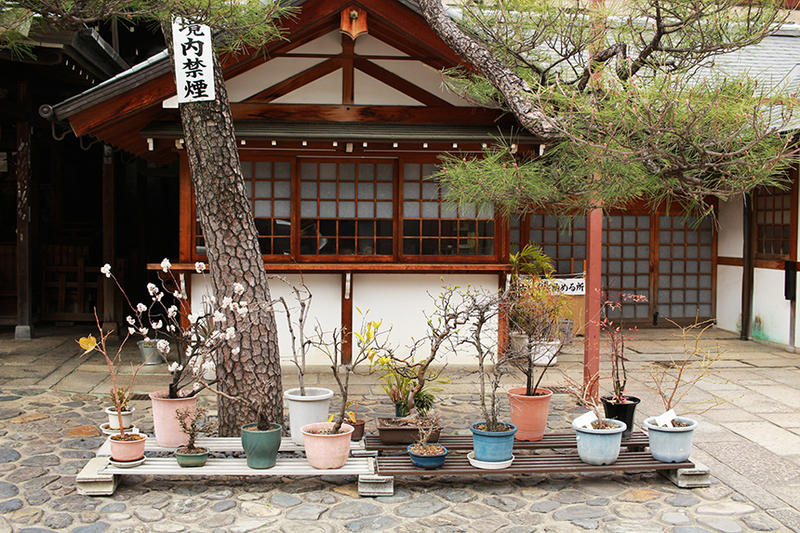 As well as big famous temples and shrines, there are a lot of small sites in backstreets in Kyoto. 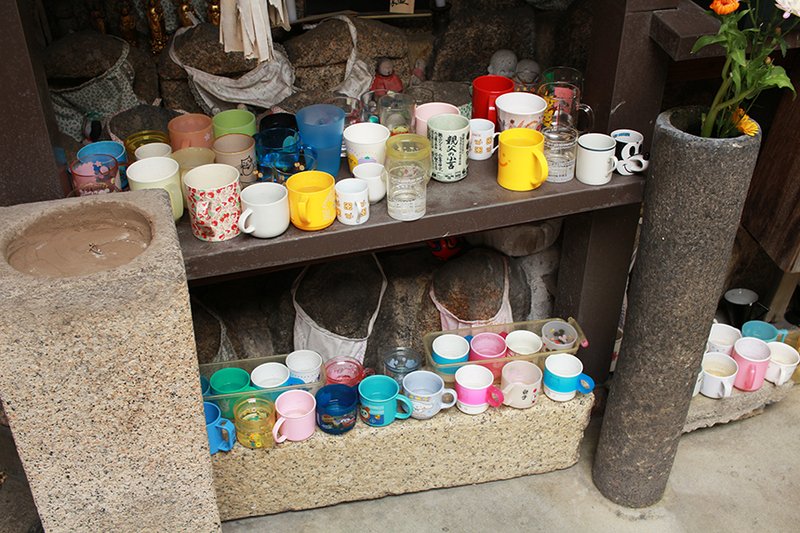 People had left cups of water as offerings here, but there was no sign explaining the significance, and googling hasn’t got me far. 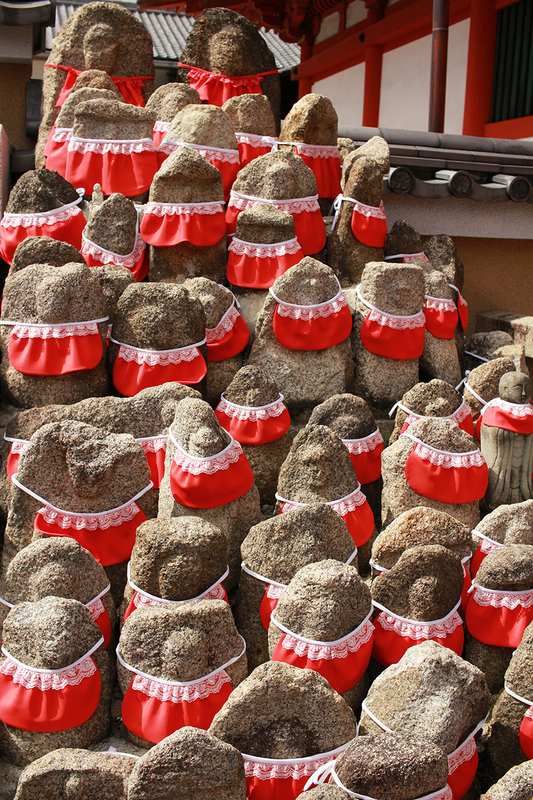 These statues of Jizo dressed in bibs and hats are very widespread however. 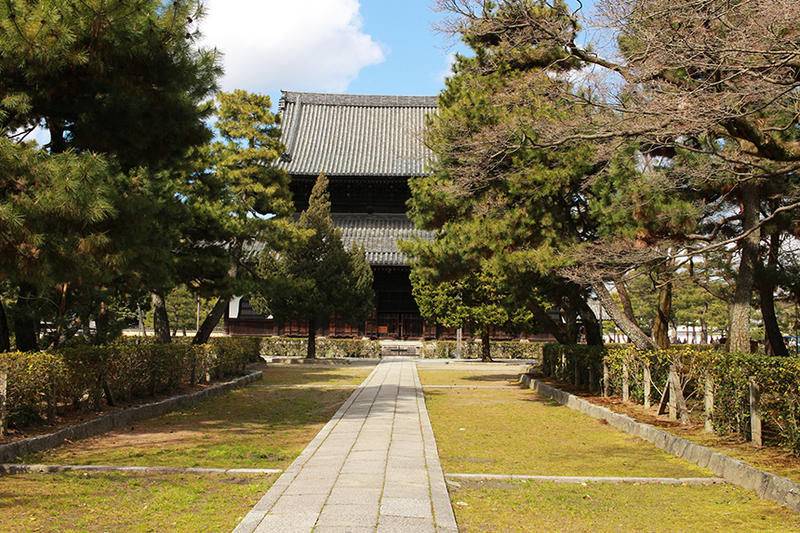 To the south of the Imperial Palace is a huge park filled with different temples and shrines, and moss lawns. 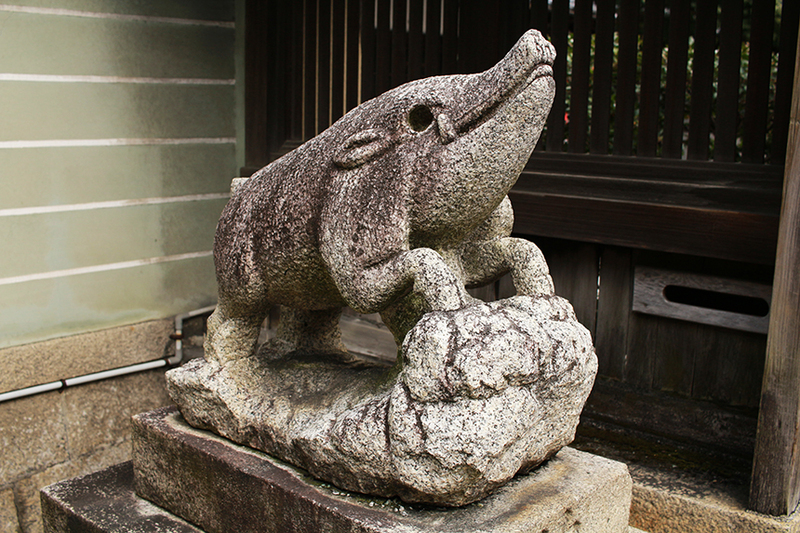 And smaller shrines, such as this one dedicated to wild boar. A lot of the statues and images you see make films like Princess Mononoke make a lot more sense. 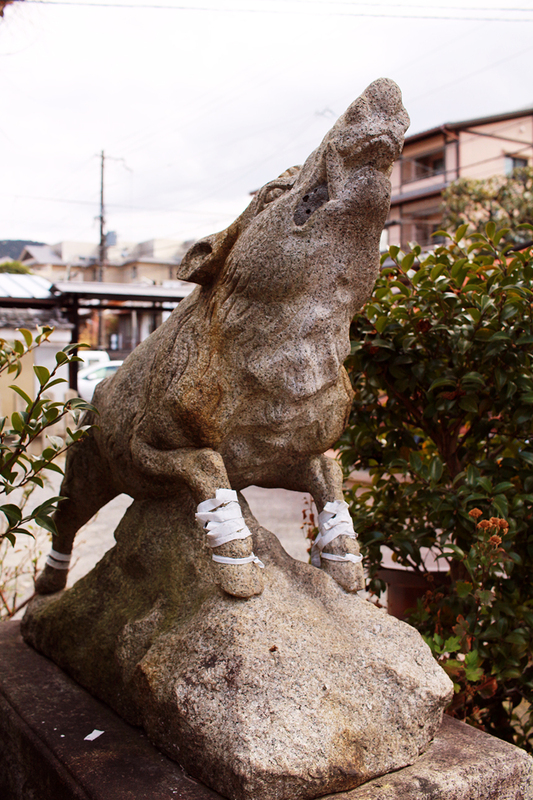 The other statues in the Go-o shrine weren’t as fearsome. 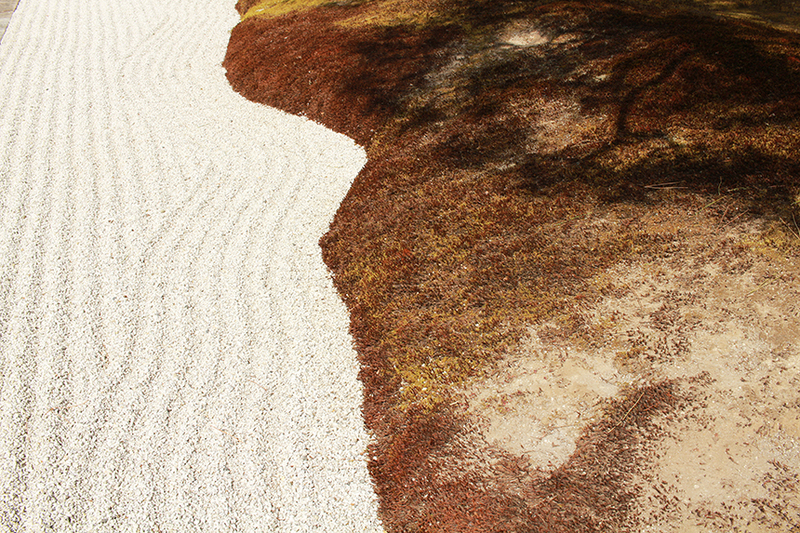 There are also a lot of Zen raked gravel gardens in Kyoto. 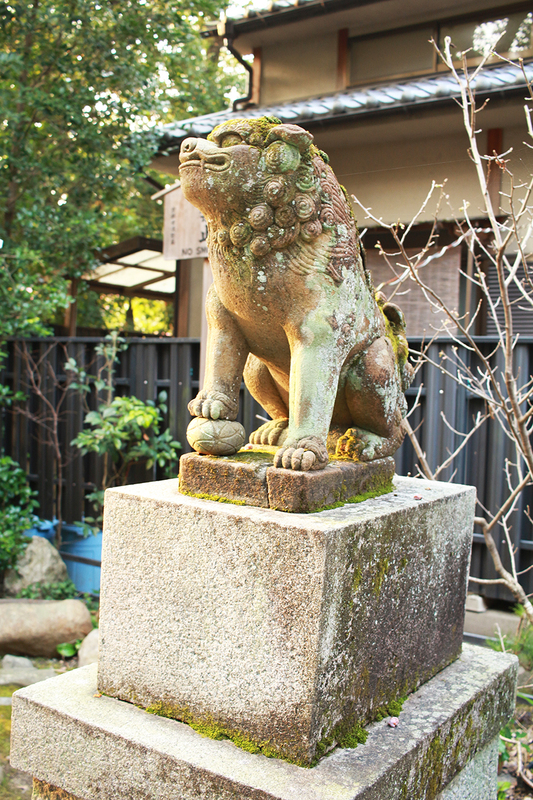 Instead of boar, most shrines have lion or fox statues guarding the gate. I especially liked the smaller sites on quiet back streets.